If there was a theme to this summer it would be “fruity cocktail”. I’m not a big drinker, and especially not a hard liquor drinker (usually I just have an icy cold beer), but I have come to appreciate the vodka-based cocktail. 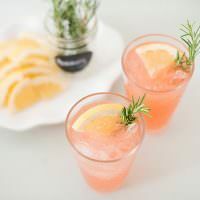 I introduced you to the Mason jar Beach Cocktail, and now I am going to ask you to say hello to the Rosemary Greyhound. I was watching the Cooking Channel (It took me almost a year to figure out that we actually do get that channel. I had missed it so much.) 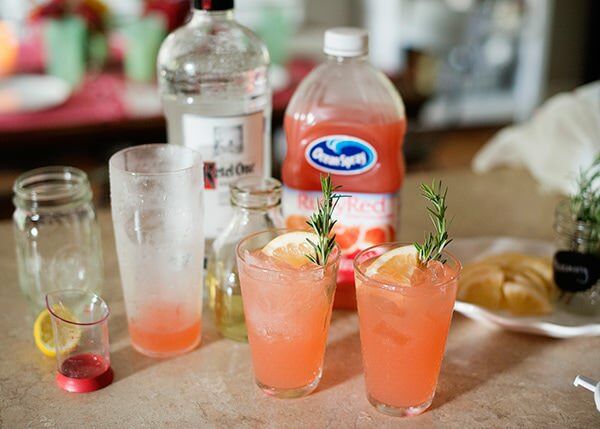 and in an episode of Dinner at Tiffani’s, she made this delightful pink drink, the Rosemary Greyhound. I love any drink with herbs in it and kept it in my back pocket. A few days later my friend Michelle asked me if I had any good pink cocktail recipes to try and I immediately knew that we needed to try this. It’s hard to find fun, girly, pink drinks that aren’t cloyingly sweet. To make a non-alcoholic version, I would skip the vodka and replace it with club soda. It will be light, bright, and not too sweet. 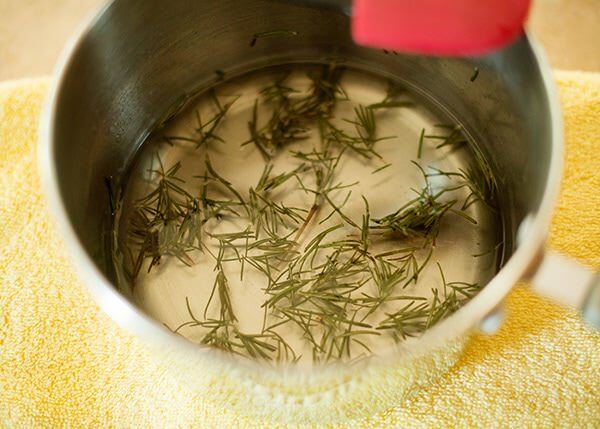 To make the Rosemary Simple Syrup, add the water, sugar, and rosemary to a saucepan. Cook over medium heat until the sugar dissolves. Remove from heat and let the rosemary steep in the syrup. 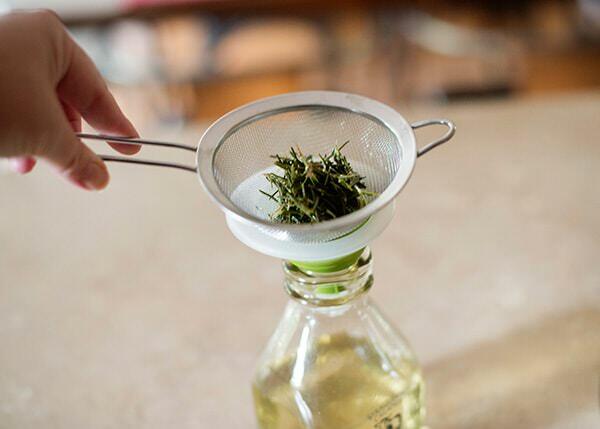 Strain the rosemary and pour into a container. Let cool completely. 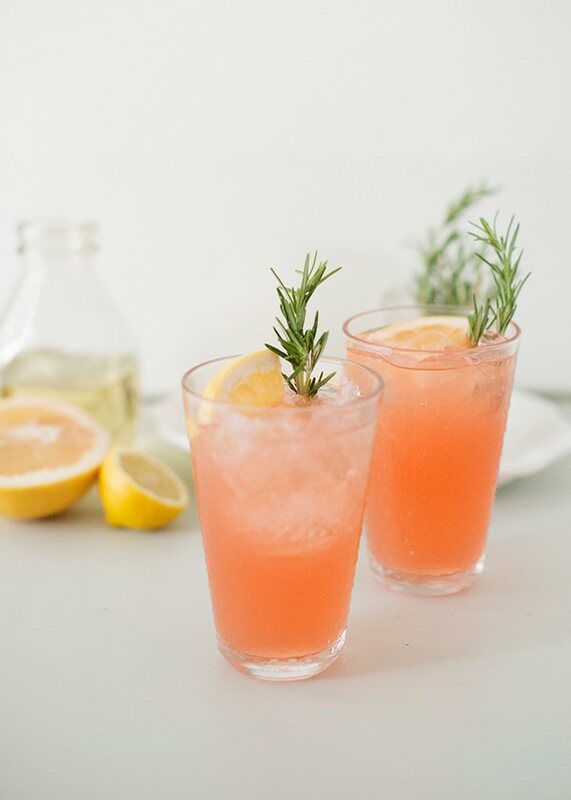 Add the grapefruit juice, vodka, rosemary syrup, and lemon into a cocktail shaker with ice. Shake and pour over ice into 2 glasses. 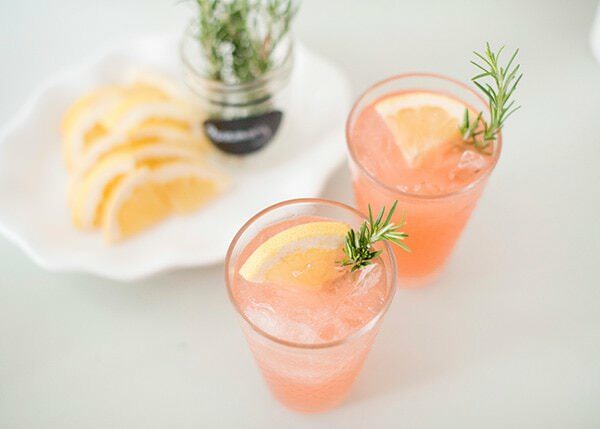 Garnish with rosemary sprig and grapefruit slice. 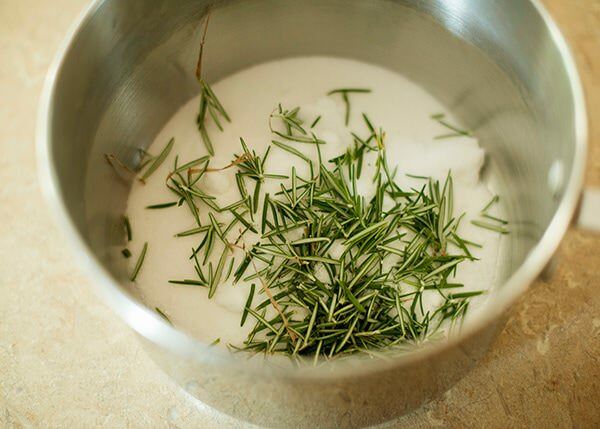 To make the Rosemary Simple Syrup, add the water, sugar, and rosemary to a saucepan. Cook over medium heat until the sugar dissolves. Remove from heat and let the rosemary steep in the syrup. Strain the rosemary and pour into a container. Let cool completely. 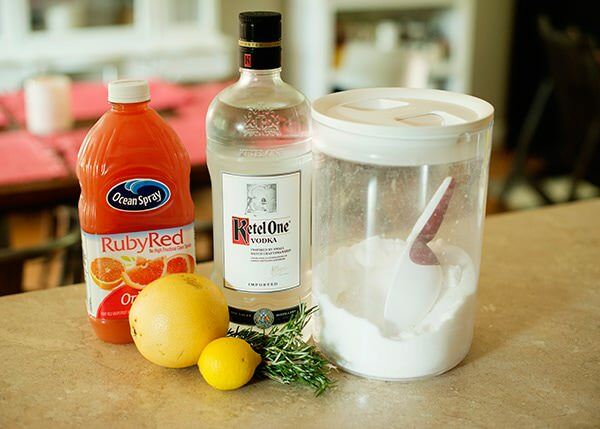 Add the grapefruit juice, vodka, rosemary syrup, and lemon into a cocktail shaker with ice. Shake and pour over ice into 2 glasses. 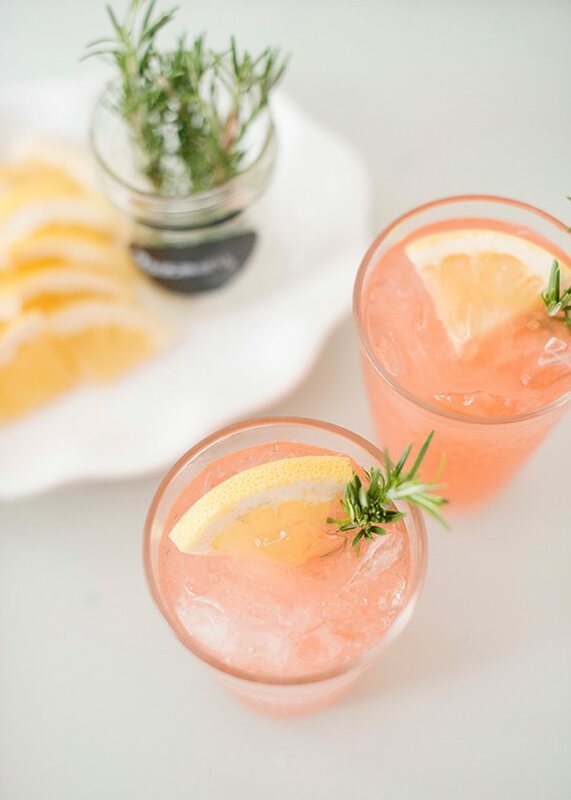 Garnish with rosemary sprig and grapefruit slice. If you like greyhounds, you have to try one at the Landfall in Woods Hole on the back dock. Perfection. Will do! I love sitting outside there. Those rosemary greyhounds look delightful. I love their bright color. This drink sounds so yummy!! I love the rosemary syrup… I bet that gives it such great, unique flavor! Definitely want to try this! I have had a few of these lately, so refreshing.